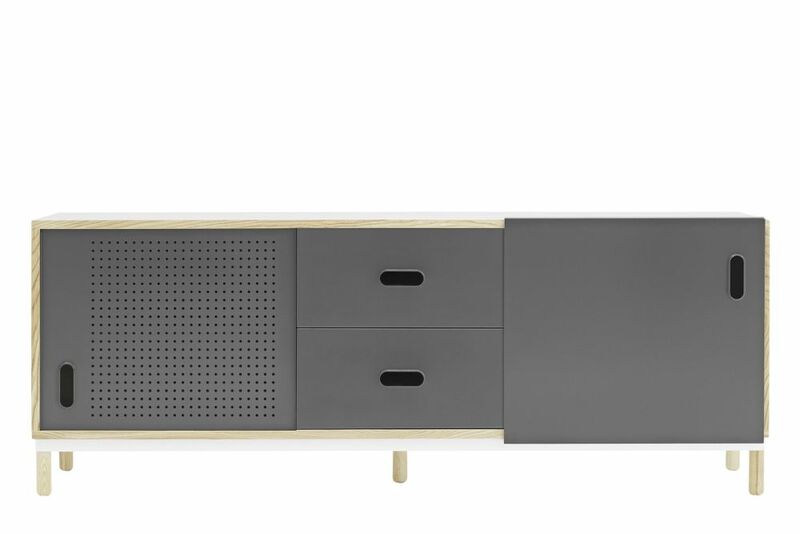 The Kabino sideboard with drawers and doors has an inbuilt cable outlet, making it ideal as hifi furniture. Perforated holes cover one of the sliding doors, adding visual elegance. The drawers have a soft close function, which means that they close silently. Combine the Kabino sideboard with other pieces from the Kabino series to create a coherent look in your interior.